GPS Trackers There are 6 products. 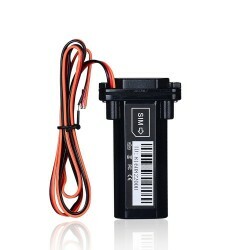 ST-901 GPS Tracker. GPS chip: UBLOX7020 GPS sensitivity: -162Db Operating temperature: -20° - 55° C Operating humidity: 5% - 95% non-condensing. Location accuracy: 10 meters, 2D RMS Time accuracy: 1 microsecond time synchronization of satellite time. Please select an option.